Mercury Musical Developments is a labyrinthine Arts Council-funded organisation. Its website is a good first port of call to discover opportunities for you and your musical, although you’ll need to invest some time in working out which strands of its many activities are appropriate and available to you. It has developed from an elite band of artists who studied under Stephen Sondheim, amalgamating since then with various other groups to become a membership organisation that acts as a conduit for satellite schemes and programmes. Membership is reasonably priced and buys you access to a range of social events, panel discussions and showcases. MMD runs a large conference and its Beam programme on alternate years. The first is a talking-shop that motivates and inspires by reinforcing and reinvigorating everyone’s beliefs while the second is an opportunity to try out a fledging idea without the demands of writing a full show. Beam is run by ex-Arts Council officer James Hadley and MMD’s executive director, Victoria Saxon in partnership with Musical Theatre Network (MTN). It invites writers to pitch just 10 minutes of material to them and a panel of industry experts at a diverse range of venues around the country. The best pitches are then selected for a two-day festival of showcases alongside longer presentations of pieces already in development and looking for funding. A great opportunity for early-stage writers or those in need of a supportive environment. MMD is also associated with the Cameron Macintosh Resident Composer placements, which is also run with MTN. These provide real-world opportunities for artists to be involved in productions, whether contributing full scores or incidental music, while resident at a range of prestigious venues including Leicester Curve and the Lyric Hammersmith. Applications are invited annually from composers who have “had at least one professionally produced musical theatre show (which can include paid work for a drama college or other training institute)” and can demonstrate “a clear ongoing commitment to working in musical theatre”. Applicants must be resident in the UK to be eligible and it encourages applicants “from the broadest diversity of cultural heritages”. The composer-lyricist team of George Stiles and Anthony Drewe is a rare example of a British partnership that has made a significant impact in the West End and on Broadway through collaborations with Cameron Macintosh. He discovered them via the now-defunct Vivien Ellis Prize, and their work together includes Just So and Betty Blue Eyes, plus revamps of existing scores such as Mary Poppins, Chitty Chitty Bang Bang and Half a Sixpence. Their fun and accessible shows such as Honk! are popular around the world among school and community groups. Stiles and Drewe are pragmatic and charming in their championing of new writers including through this scheme in conjunction with MMD, which, they say, is a direct response to the problem of getting promising new shows out of development and into actual productions. There are two strands – an annual prize for best new song and a competition, sponsored by Music Theatre International, to win a year’s mentorship from the team. 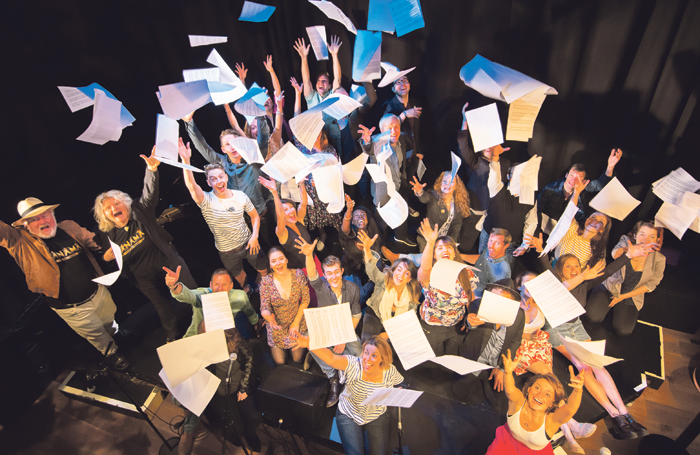 This includes a writing retreat, access to a range of labs, workshops and shadowing opportunities and culminates in a showcase of the winners’ musicals. To apply, you’ll need to be a UK resident and MMD member and to have completed a musical, material from which you’re invited to upload to the MMD website for consideration for both the mentorship and best new song prize. Another opportunity partly funded by MMD is Book Music and Lyrics. It aims to emulate the Broadcast Music, Inc sessions in New York – an extraordinary class that boasts most of the success stories in new American musical writing among its alumni. Unlike BMI, you’ll need to pay to attend BML, but it offers a range of well-regarded sessions. Unusually, these are taught by practitioners with real-world experience and its annual showcase leads to actual jobs. For example, writers Luke Bateman and Richy Hughes were hired by a major West End producer to write for high-profile family show Mr Popper’s Penguins after attending. The programme offers a range of opportunities for participants of varying levels of experience and a step-by-step progression from entry level to a membership of an invitation-only advanced group. Founding director David James is extremely approachable via the website’s contact page and will almost certainly go for a coffee with you. He advises that the easiest way for new writers to discover the best route for them is via one of BML’s taster days, advertised on its site, at which you can observe a masterclass and meet the writers and tutors involved. The cost is £400 for 30 sessions but bursaries are available. James is keen to define the sessions as “collaborative practice” rather than classes and to differentiate this from the “peer support” approach of wider MMD activities. Andrew Lloyd Webber acquired the St James Theatre last year and converted it into a home for developing musicals, renaming it the Other Palace. Its website has a raft of ways to submit material for consideration, from individual songs and Beam-style pitches to full shows that could be developed in-house or, more often, invited to hire the facilities. Mark Shenton: Is the Other Palace a new home for British musicals? Artistic director Paul Taylor-Mills, an experienced fringe theatre producer whose breakthrough hit was an Olivier-winning production of In the Heights, was typically upbeat when I spoke to him. For a particularly enticing forthcoming project, a range of writers will watch the screening of a documentary. They will then be invited to pitch their concepts for turning it into a musical, competing for a commission. Probably of most use to well-connected, more established writers. Financially, the Other Palace team offers a range of support on a case-by-case basis, but you’ll probably need to inject some cash of your own to unlock the potential of this high-profile venue as a starting point for your new show. Currently part of the new-writing development programme at Theatre Royal Stratford East, this is a commendable scheme that values diversity and inclusion over experience, both in its participants and its project leaders. The website outlines a series of showcase and discussion events and encourages a uniquely wide range of applicants including rappers and DJs. It aims to “foster and develop new British musicals that respond to the modern world and contemporary life with a focus on enriching the fabric of British theatre making and stories”. This year, eight promising writers have been recruited through open workshops and peer recommendation to receive “a £1,000 stipend, year-long dramaturgy and development, industry and skills masterclasses and workshops, a work-in-progress sharing at the Other Palace, an excerpt sharing at Theatre Royal Stratford East, a 12-month membership to MMD, free tickets to Theatre Royal Stratford East productions and access to hot desks and rehearsal rooms”. This scheme is designed for those who feel excluded from mainstream opportunities – although most programmes actively encourage applications from sections of the community currently under-represented in musical theatre. Katy Lipson is widely touted as the next big thing in new musicals. When we met to discuss her work, I was extremely impressed with her energy and commitment and the keen sense of business that has seen her rapidly progress from the London fringe to Off-West End and commercial touring in recent years. Lipson’s passion is new musicals: she helped set up Manchester’s Hope Mill Theatre, and since 2013 has curated From Page to Stage, which this summer showcased 20 new pieces in three weeks at the Other Palace. It’s an impressive and substantial body of work although, depressingly, Lipson hasn’t yet found a new British musical that stacks up as a long-running commercial proposition, preferring instead to produce proven work from the US. She hopes to change that soon. Lipson promises to read and listen to everything submitted to her, making her organisation a good bet for long term, hands-on development and support. An Arts Council-funded organisation, which workshops and promotes emerging shows. It doesn’t have the infrastructure to take on more projects – unless you send them £150 pounds, in which case its director, Andy Barnes, will read your show and give you an hour’s face-to-face feedback. Current projects include Little Beasts, recently showcased at the Other Palace. No one at the moment unless you’re part of, or interested in producing, their existing roster of musicals. Invite them to showcases, though, as they might be of use to you in the future. Check out Iris Theatre, which presents evenings of new work at its base in Covent Garden, SimG Productions, which promotes shows through cast recordings, and Neil Marcus’ the Stable, which, although not currently accepting new work, is developing several interesting projects. Youth Music Theatre and National Youth Music Theatre also commission and develop musicals every year and Fisher Taylor-Grant Productions offers a range of services for a fee. In New York, the National Alliance for Musical Theatre and New York Music Festivals are worth exploring. Phil Willmott is an award winning director, artistic director, playwright, composer, dramaturg, arts journalist and occasional actor. 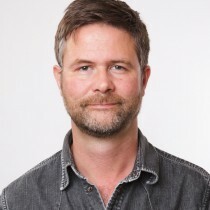 A former Equity councillor and ex co-head of musical theatre training at Arts Ed he is one of the most commissioned writer/composers in the UK and a pioneering director of Greek drama. He directs classics, musicals and cutting edge new writing internationally and has been theatre critic for BBC London, Attitude and Gay Times.